If you have a home, don’t be afraid to use it as a haven to welcome others. Sadness. That’s what I noticed when I met Billy for the first time. Recently widowed, Billy couldn’t bear to live without the love of his life. I had absolutely no idea how to befriend a widower twice my age who never had children of his own. So I did what any mother would do to break the ice … I let my young children do the talking. A friend of my dad, Billy often stopped to visit my parents, and my kids and I often happened to be there at the same time. My son and daughter would make him smile with their antics, and slowly but surely we got to know each other better. For a while, Billy stopped by to visit our family for a couple minutes if he was driving past our neighborhood. And after we offered enough dinner invitations, he finally accepted, much to our surprise. Fast forward seven years, and Billy has become a part of our family. My kids call him just to talk, and he stops by unexpectedly with little treats. His extreme sadness has faded; now we love to joke and laugh with him. Like an adopted grandpa to my kids, Billy comes over for dinner once a month and it turns into a family affair. Either he brings carryout pizza, or I cook his favorite meal. When he visits, my husband and I love our conversations with him, and our son and daughter adore teaching him new games. We listen to his favorite Motown hits, and he invests in us by offering thoughtful questions and wise advice. Often in the past year, we’ve talked about what a gift he is to our family – and what an unlikely friend. I’ve often pondered that the only thing we can give him is the love of our family by welcoming him into our home and our lives. I am so tickled that our humble home truly can be a haven to him. Relationships are at the heart of a haven. We all look for a place where we feel welcomed, wanted, and safe to be ourselves. 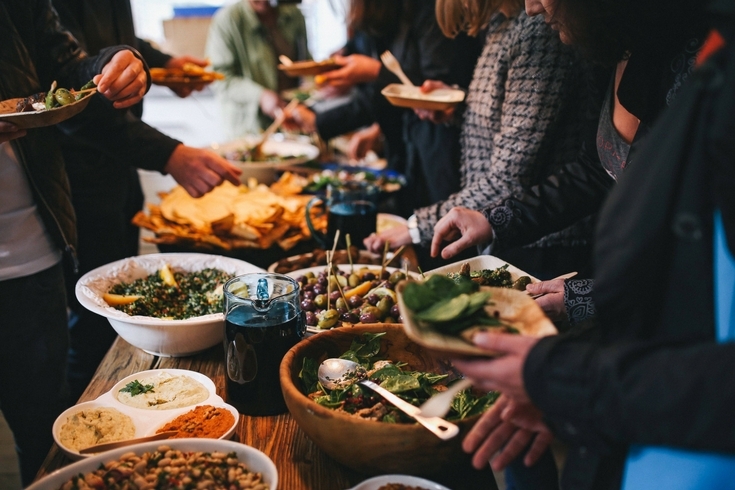 Because of this, when you know you’re planning on hosting anyone – especially over the upcoming holidays – get in the mindset that you can use your home, family, and self to personally minister to others. It’s kind of like having a mission or ministry right in your very own home. If you’ve done the good work of creating a haven where you live, your home look, smells, sounds, and feels like a haven. All of the thoughtful, heartfelt work you’ve put into haven creation finally pays off. You can use your welcoming home to nurture others. As you devote yourself to good works through creating (and sharing!) a haven, it’s excellent. And it’s profitable for people. Opening your home also means opening yourself up. And at first, that can be intimidating. But it’s so worth it. When you know that someone is coming to your house, take a deep breath. 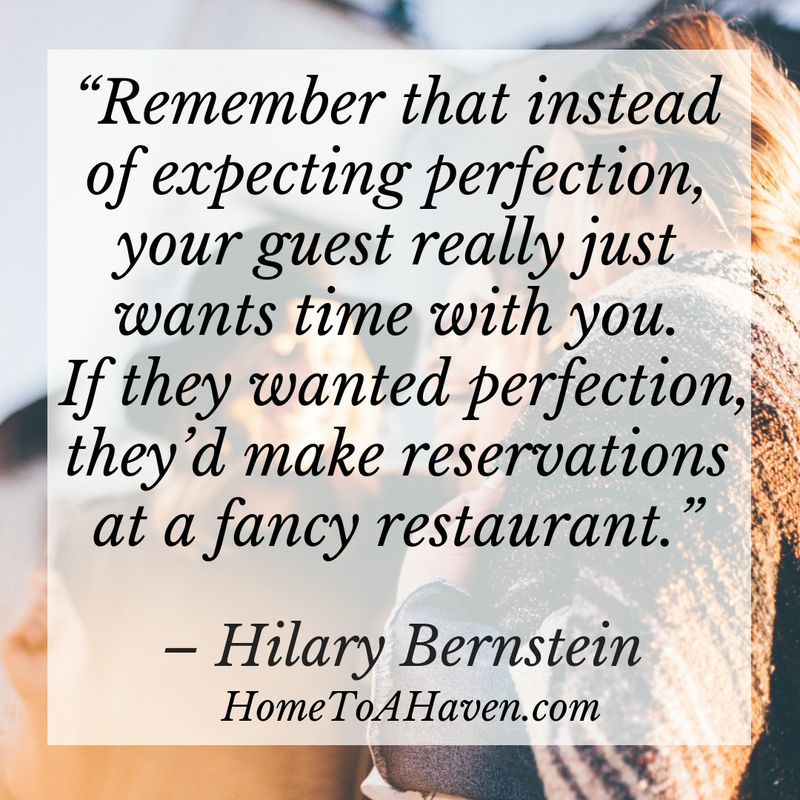 Remember that instead of expecting perfection, your guest really just wants time with you. If they wanted perfection, they’d make reservations at a fancy restaurant. So while it’s fine (and natural!) to feel motivated to cook and clean for company, make sure you’re also getting ready to personally be a haven. Think about some conversation starters. What interests does your guest have? How about their family? What do you have in common? Think about topics like this and questions you could ask. Pray about your time together. As you’re ready to welcome your guests, pray for your relationship. Pray for your time together. And pray that you can bless them and minister to their lives in some way. Get ready to put your guest first. Remember the Golden Rule? Just as you’re supposed to love God and love your neighbor as yourself, this is one tangible way to love your neighbor as yourself. 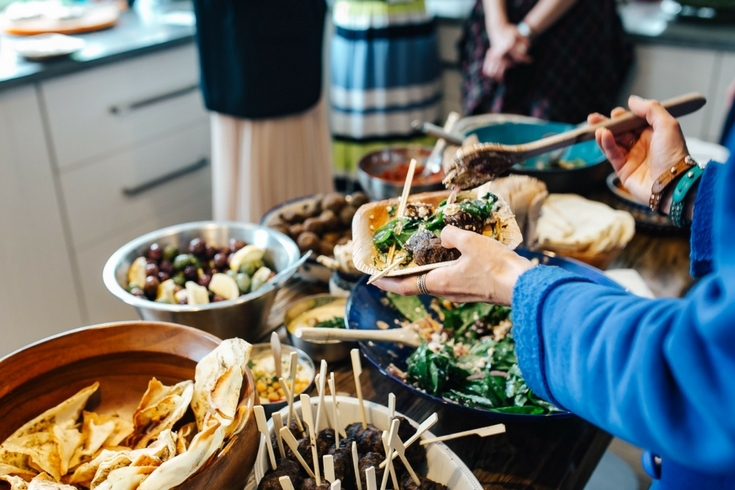 An easy way to do this is to think of what foods and drinks you can serve that your guests will appreciate. So often, your company may not share your same tastes. Since you can cook for yourself anytime, set aside your personal favorites and try to serve something you know would make your guest’s day. To get more haven creation tips delivered directly to your inbox every week, click here to become a Home to a Haven subscriber! Right now you may not feel like you have a Billy in your own life. But you never know when God might bring someone into your family’s lives that needs your love and the haven of your friendship. As you go out of your way to put your guests first and honor them, you’ll find so many blessings in return. A funny thing happens when you love your neighbor as yourself …it will end up filling you with lots of joy. 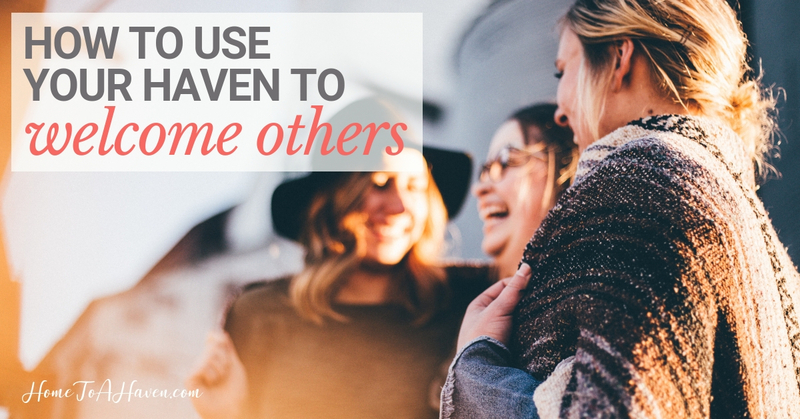 What do you do to welcome others into your haven? What are some of your favorite tips and tricks? Disclosure: Names have been changed to protect dear friendships. Links in this post may be affiliate links. This means that, at no added cost to you, I may make a commission on products purchased through these links. Thank you for supporting this website! This post was very motivating to me. My husband and I are both introverts and work full time and it’s hard to find time to open up our home and selves especially to others. I’ve been blessed by a friend and mentor whose haven I know I can always go to and it is such a comfort. I do really want to be like that but it’s such a struggle for me to do. Thanks for the encouragement and tips in this email. I’ve been the “Billy” and have been “adopted” by an elderly couple back in my college days. We’ve been friends and now family for 11 years. The elderly lady that became so close to me was my maid of honor in my wedding. I hope that I can be a blessing or bless someone in the future like I’ve have been.